Get a sense of the local culture at Belém Tower and Jeronimos Monastery. We've included these beaches for you: Praia da ursa and Praia do Magoito. Change things up with a short trip to Guincho Beach in Cascais (about 34 minutes away). Next up on the itinerary: step into the grandiose world of Castelo de S. Jorge, take a stroll through Alfama, tour the water at your own pace with Nosso Tejo, and don't miss a visit to Santa Justa Lift. To find maps, where to stay, and tourist information, you can read our Lisbon holiday planner . New York City, USA to Lisbon is an approximately 11.5-hour combination of bus and flight. You can also do a combination of train and flight. The time zone difference moving from Eastern Standard Time (EST) to Western European Time (WET) is 5 hours. Traveling from New York City in June, expect little chillier with lows of 60°F in Lisbon. Finish your sightseeing early on the 25th (Mon) so you can take a train to Porto. Step out of the city life by going to Praia do Carneiro and Rio Douro. Get a sense of the local culture at Porto Cathedral (Se Catedral) and Palacio da Bolsa. Next up on the itinerary: kick back and relax at Praia dos Ingleses, take in the views from Ponte de Dom Luis I, take in the architecture and atmosphere at Igreja da Ordem Terceira de São Francisco, and enjoy breathtaking views from Clerigos Tower. For ratings, maps, photos, and other tourist information, use the Porto road trip planning tool . You can take a train from Lisbon to Porto in 3 hours. Alternatively, you can fly; or drive. When traveling from Lisbon in June, plan for a bit cooler days and about the same nights in Porto: temperatures range from 73°F by day to 57°F at night. Wrap up your sightseeing on the 28th (Thu) early enough to travel to Ponta Delgada. Start off your visit on the 29th (Fri): kick back and relax at Praia de Santa Barbara, then explore the activities along Lagoa do Fogo, and then contemplate in the serene atmosphere at Nossa Senhora da Paz. To see maps, photos, reviews, and other tourist information, read Ponta Delgada trip app . Traveling by flight from Porto to Ponta Delgada takes 5 hours. The time zone difference when traveling from Porto to Ponta Delgada is minus 1 hour. 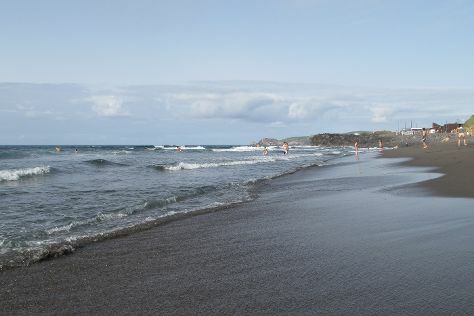 In June in Ponta Delgada, expect temperatures between 70°F during the day and 61°F at night. You'll have a few hours on the 30th (Sat) to wrap things up before traveling home.